This season of “Marvel’s The Punisher” was underwhelming to say the least. Through the lazy and forced storytelling, on top of the messy story arcs, this season leaves a bad taste in the mouth of die-hard Marvel fans who had been patiently awaiting the arrival of season two for the longest time. While that opening statement about the latest season may seem harsh, there were some things this season did well; however,when it came to wrapping up looseends with some of the characters, it failed in a way that would turn fans away. It should be stated that this season will be spoiled in this review, so if you have not watched this season, go watch it or don’t — it’s your choice. Last season of “Punisher” was a thrill ride of a season. Through exploring the Punisher’s past life as Frank Castle, this season had viewers piecing together Castle’s life as he sought revenge for the death of his family. Season one of “Punisher” and season three of “Daredevil” are the pinnacle of storytelling in the Marvel Netflix universe. However, season two of “Punisher” did the opposite. Following the ending fight scene of season one, Castle’s enemy, Billy Russo AKA Jigsaw, must recollect his memory after suffering severe brain trauma from his bout with Castle. Another arc that happens this season is Castle versus John Pilgrim and Schultz’ family as he tries to keep safe a girl who is on the run from the family and their hired gun Pilgrim. Throughout the season it is hard to figure out which main story is the A story and which is the B story. At times it seems the story with Pilgrim is the main focus while at other time it seems to be with Russo’s character. This causes confusion for the viewer once the season starts to pick up where the viewer can’t figure out which is the main story of the season. This also causes confusion toward the end of the season where the two story arcs never really come together as one. While it didn’t need to intersect, it would have made sense if the two did. Instead, when the two stories come to an end, it feels rushed. This is most visible in Russo’s arc where at the end of the season it feels as if they just threw away his character. While the plot of season two didn’t deliver, the acting was phenomenal. Jon Bernthal as the Punisher brings just as much intensity as he did in season one. Bernthal’s performance this season almost makes up for the messy story. In addition to Bernthal’s performance, Ben Barnes as John Pilgrim brought a new depth to the season. Barnes also did an excellent job in his portrayal of this dynamic character. While this season didn’t amaze me as much as last season, it did entertain me to the point where I binge watched the entire season in two days. 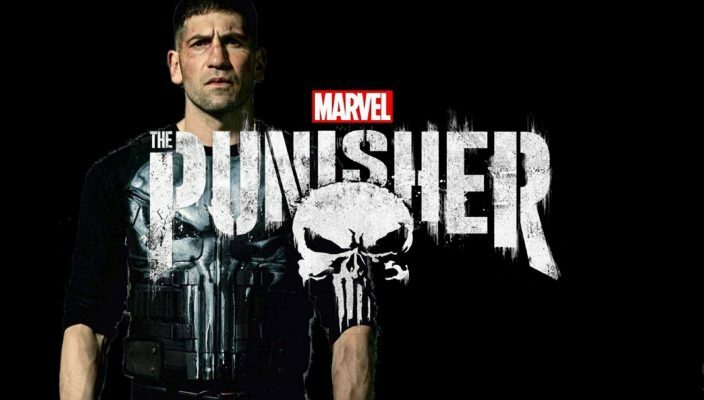 If you are a fan of Marvel or action, then I strongly suggest watching “The Punisher.” However I encourage the viewer to practice a little patience when watching season two.